To read all about the informative and enjoyable beach walks that took place during the Mr Price Pro Ballito, Click Here. A Launch site has been applied for in this position, which will allow for public launching to take place. A parking area and a small commercial outlet are also planned for this spot. Lovely for walking next to the waves, running with dogs, riding horses, shore angling and enjoying the natural foliage of Zimbali on the landward side. The Foch le Roux parking area is adjacent to Zimbali fence. Two flights of stairs lead onto the beach. Public ablutions and parking available. There is currently a boat launch site controlled by the Ballito Ski Boat Club. 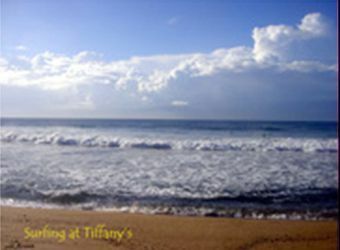 This is not a swimming beach, but good for surfing and popular with shore anglers. Between Salmon Bay and Clarke Bay. Wheelchair access from The Hops parking area. Linked to the Ballito promenade from both sides. The promenade has recently been restored after being washed away in very high seas in 2007. Enjoy a walk or relax on a bench and meditate or people watch. Lifesaving facility and shark nets, public ablutions and showers. Parking is available in front of The Hops, making this a popular bathing beach. This is a very protected bathing area and safe for toddlers during low tide. Easy access along the Promenade from Ozard Way in the south and Willards Beach in the north. The main bathing beach of Ballito, with Lifeguards on duty between 8am-4pm. Shark nets. Entertainment during family holiday periods. Good surfing beach. The name says it all! The home of the Mr Price Pro for the next 2 years at least. The Tidal Pool bas been rebuilt. Beautiful surrounds, with Chakas High Rock as the northern boundary. Popular walk leads through Hole-in-the-Wall over rocks towards Willards Beach. Lifeguards on duty and shark nets in place. Parking in two areas off Ocean Drive. One opposite the entrance to Santorini and one at the top of the pathway down to the beach. Wonderful views and sense of history. Very popular with rock anglers. Parking available at main road parking area or limited parking along Rock Lane. Access off main Road, with parking available along both sides of the road. Down servitude to tidal pool, which has an amazing array of corals, in fairly good condition. 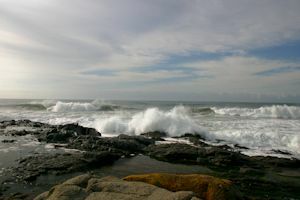 Rocky shores and only a little stretch of sand, but popular for toddlers and families. Dangerous for swimming unless in pool. Lifeguards on duty. Shark nets. Lovely wide beach with lots of activity during peak seasons. Very popular with surfers and an active volunteer Lifesaving Club. Picnic tables and grass with plentiful parking. Good area for kiteboarders. Access involves a walk along the beach unless staying at the Salt Rock Hotel or campsite. Safe for toddlers and popular with rock anglers. Parking available at public area off Shrimp Lane. Short walk down to beach. Very little parking available, so recommended park in Shrimp Lane parking. Very popular for scuba divers and surfers. Wind surfing/boarding hotspot. Not a good swimming beach, because of the proliferation of rocks. However, a lovely beach for walking dogs and sunbathing as it is not too busy. Parking limited. Good access for pedestrians through green alley over stream. Popular with shore anglers. Good swimming if there is a sandbank but no sharknets or Lifesavers so swimming at your own risk.